“On Wednesday, January 2, 2019, President Donald Trump sent the 101st Airborne to maintain order at the American-Mexican border near Nogales. That was fifteen years ago.” Professor Pauline Vasquez periodically pressed her thumb on the remote, advancing the slideshow in her classroom. 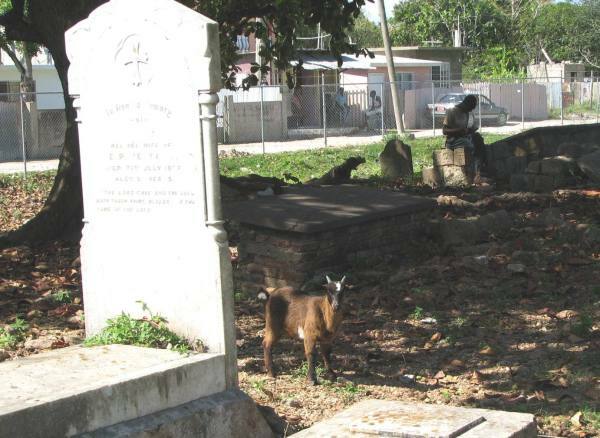 I Googled “Goats and Graves” since that’s part of the photo’s filename, and I came up with a scholarly paper titled, “Goats and Graves: Reparations In Rwanda’s Community Courts. So in this case, I’m using the image symbolically, when normally, I would have taken a more literal perspective. In 1990, the Rwandan Patriotic Front (RPF), a rebel group composed of nearly 500,000 Tutsi refugees, invaded northern Rwanda from their base in Uganda, initiating the Rwandan Civil War. The group condemned the Hutu-dominated government for failing to democratize and confront the problems facing these refugees. Neither side was able to gain a decisive advantage in the war, but by 1992 it had weakened Habyarimana’s authority; mass demonstrations forced him into a coalition with the domestic opposition and eventually to sign the 1993 Arusha Accords with the RPF. The cease-fire ended on 6 April 1994 when Habyarimana’s plane was shot down near Kigali Airport, killing him. The shooting down of the plane served as the catalyst for the Rwandan genocide, which began within a few hours. Over the course of approximately 100 days, around 800,000 Tutsi and politically moderate Hutu were killed in well-planned attacks on the orders of the interim government. Many Twa were also killed, despite not being directly targeted. Since the Rwandan genocide was triggered by half a million refuges, I made that the jumping off point for my own, wee tale. Of course in the case of Rwanda, the relevant events took place over several months and not in a single day. As I was writing, I was also reminded of the Kent State shootings of 1970. There seems to be some confusion here, falsely conflating genocide with mass murder, and both with large casualty counts in a warfare situation. Genocide is deliberate targeting of an ethnicity in its entirety. Mass murder is indiscriminate targeting. However, the large numbers of casualties that warfare may generate may be neither indiscriminate nor racist, regardless of the ethnic makeup of the combatants. The casualties may, in fact, result from fully-justified and legitimate self-defense. Legitimate defense against premeditated foreign invasion is not subject to reparation claims, merely because the aggressors may have been repulsed and overwhelmed by superior force. It is the instigators and aggressors who are responsible to pay reparations, not the defenders. And a pre-emptive strike against an obvious threat by an enemy at one’s gates is not aggression, especially if warning has been issued to that enemy that they will be stricken if they do not withdraw. Note also that the threat posed by an enemy may take forms other than direct military assault. It may be subversive, or propagandistic, or economic, subtly rather than overtly damaging. Given the limited word count, I was playing fast and loose with definitions since obviously, this wasn’t genocide. Actually, my story reminded me more of the Kent State shootings of 1970 which I mention in my afterword. I hope it never comes to that in this day and age. There are many better ways to dissuade the mob. This old world is in a mess. To be fair, in a lot of ways, it always has been, Linda. Yes. Long before America existed. Nothing new under the sun. The only way sane people can be convinced to kill a population is to make the target not human. Hopefully not! Thanks for sharing.